Duke University Press, 9780822338758, 400pp. Swanee Hunt's life has lived up to her Texas-size childhood. Daughter of legendary oil magnate H. L. Hunt, she grew up in a household dominated by an arch-conservative patriarch who spawned a brood of colorful offspring. Her family was nothing if not zealous, and that zeal--albeit for more compassionate causes--propelled her into a mission that reaches around the world. Half-Life of a Zealot tells how the girl who spoke against "Reds" alongside her father became a fierce advocate for progressive change in America and abroad, an innovative philanthropist, and Bill Clinton's Ambassador to Austria. In captivating prose, Hunt describes the warmth and wear of Southern Baptist culture, which instilled in her a calling to help those who are vulnerable. The reader is drawn into her full-throttle professional life as it competes with critical family needs. Much of Swanee Hunt's professional life is devoted to expanding women's roles in making and shaping public policy. She is the founding director of Harvard's Women and Public Policy Program at the Kennedy School of Government, chair of the Initiative for Inclusive Security, and president of the Hunt Alternatives Fund. 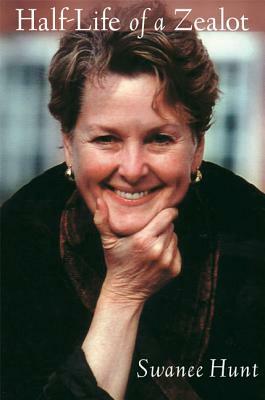 Swanee Hunt's autobiography brims over with strong women: her mother, whose religious faith and optimism were an inspiration; her daughter, who fights the social stigma of mental disorders; the women of war-torn Bosnia, who transformed their grief into action; and friends like Hillary Clinton, who used her position as First Lady to strengthen the voices of others. Hunt is one more strong woman. Half-Life of a Zealot is her story--so far.